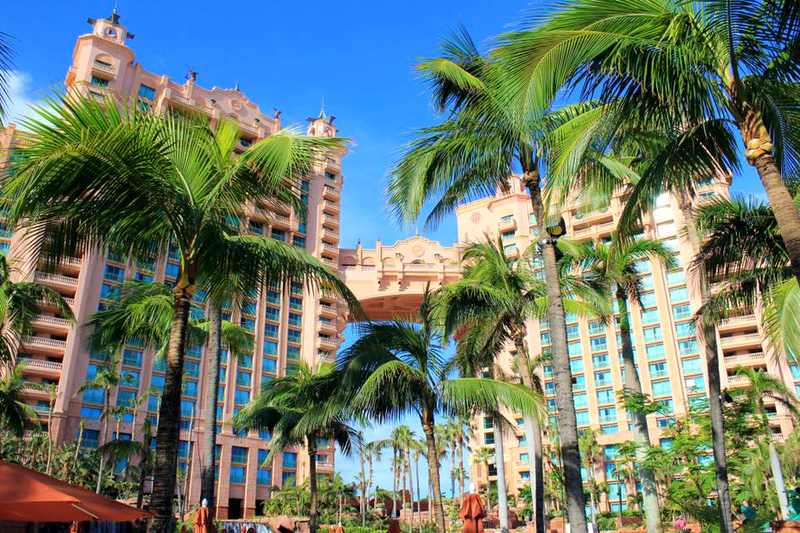 The Atlantis Resort can be overwhelming even before you arrive. Making an accommodation choice alone can be a dizzying process. There’s the Cove, The Royal Towers, The Reef, The Coral, The Beach and more! No to worry, we’ve got you covered with tips, secrets, and tricks to help you navigate Atlantis like a VIP. TravelingMom Tip: When booking on-site hotels, check for resort credit deals. You’ll get more resort credit the more nights you stay. You’ll also earn more resort credit at the higher priced hotels. The resort credit is per room, not per person. Adults Only: There are no adult-only accommodations on the resort property, but often the higher the price, the fewer families you’ll see. Exclusive to adult guests of The Cove Atlantis is a 9,000 square-foot adults-only pool with 20 private cabanas. The Ocean Club Golf course is an adult-only activity as are the resorts casinos, bars, and nightclubs. Be prepared to shell some serious cash for special experiences, meals, snacks, drinks, etc. Many TravelingMoms recommend packing snacks and water bottles to avoid extra daytime charges. You’ll likely have a large dinner, but snacks help hold everyone over during the day. Rooms have mini fridges too for storing drinks and leftovers. The resort has a meal plan, which can be helpful if your kids are 11 and under (then they eat free). FoodStore2Go.com will deliver groceries to the resort as well. I’ve heard that Dominos will deliver too, but give them a call to make sure. 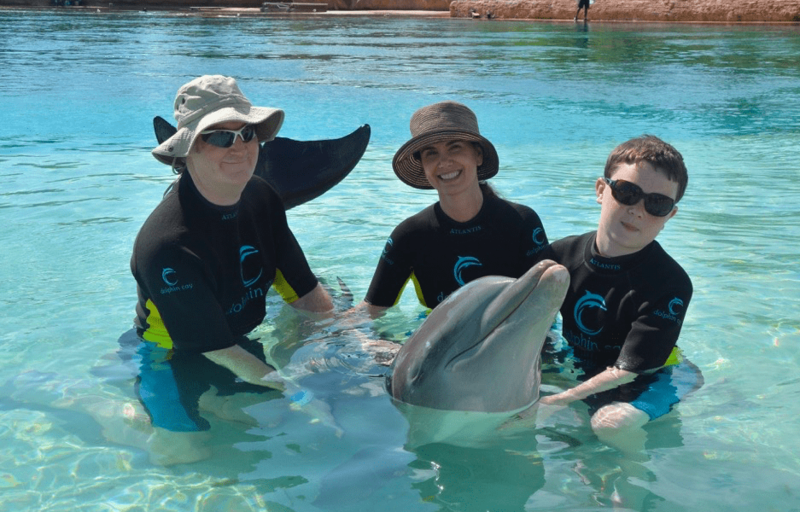 TravelingMom Tip: Personal cameras are not allowed into the Dolphin Lagoon. Non-participating family members can take photos from the shoreline. The photo packages are extremely expensive so split the cost with another family if you can. All files are digital so they are easy to pay one price and then share. There is WiFi access in guest rooms, front desk, and lobby areas, but not throughout the rest of the resort. Check with your cellular carrier regarding coverage in the Bahamas. No need to tip, since tips are already included on everything you purchase. For example, a $6.25 self-serve cheese slice of pizza came to $7.40 with VAT (value added tax) and tip added in. We were told by the front desk that even the daily fee per person at the hotel covers bellhop services. They will still accept a tip, but that’s up to you. 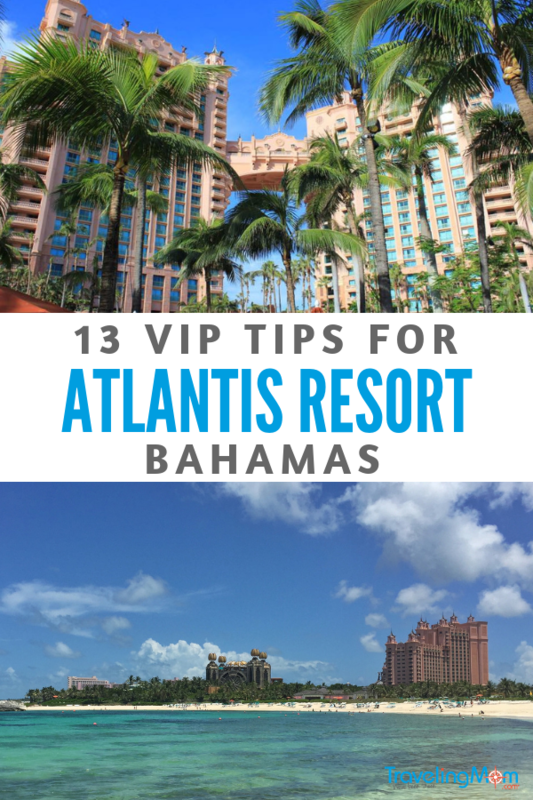 No trip to Atlantis should miss a chance to venture off property for a meal or shopping. You’ll get a more authentic Bahamian experience. Hire a cab to take you to the “Fish-Fry” – they will know what you mean. It’s an area on the beach with seafood huts and cheaper drinks. During Spring Break, though, it can be a bit rowdy, so keep this in mind. Shopping in town is fun too! 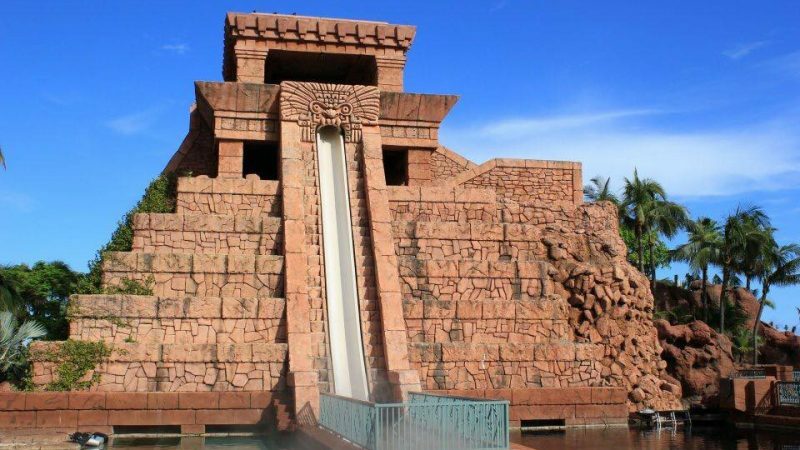 One complaint I often hear from friends and family members after a trip to Atlantis is that they got some bruise or injury from the high-speed slides like the Leap of Faith, The Abyss and the Challenger. String bikinis are a no-no for sure unless you want to end your ride without your suit. I recommend rash guards and board shorts to protect your skin. 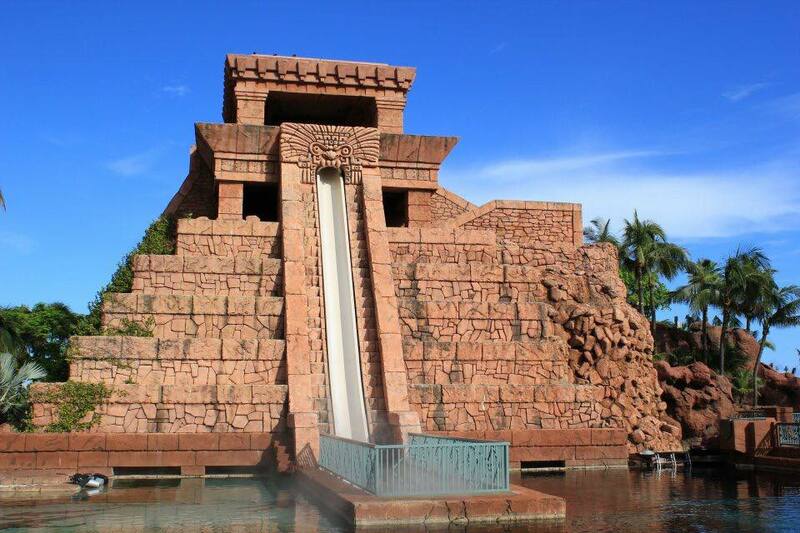 If you only want to visit Atlantis for a day, you might consider a day pass. 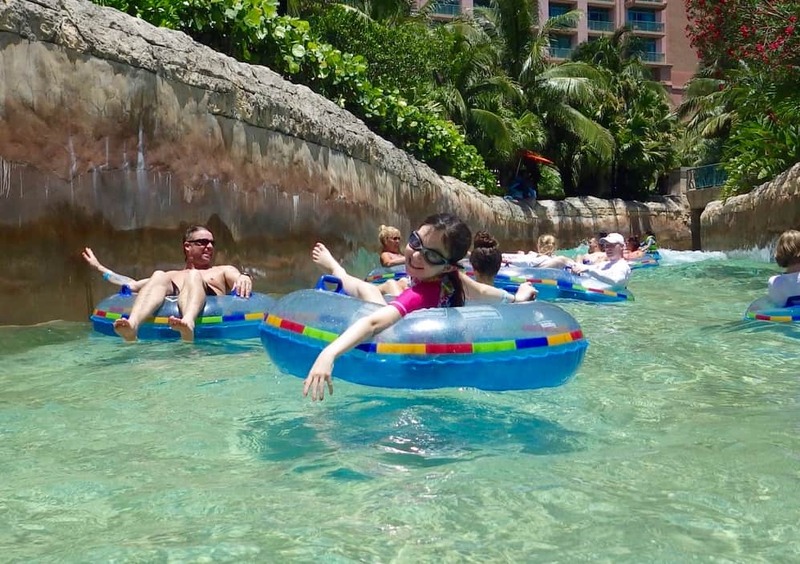 Day passes can be purchased by the guest of resort’s partners and Bahamian residents/citizens. Some local hotels and cruise lines are considered established partners. You can’t try to “fake” this either. You will need to show proof of residence or show a key to your hotel room or cruise cabin. 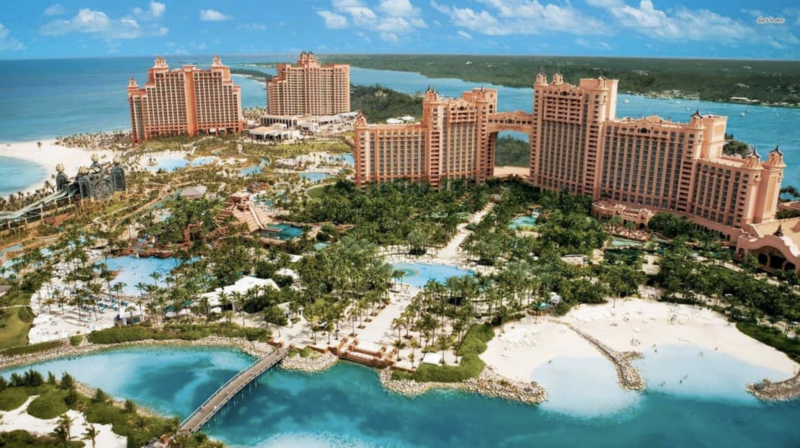 Do you have any tips for a trip to Atlantis or visiting The Bahamas, Paradise Island or Nassau in general? Let us know in a comment.